When I initially began this challenge I didn't include Kosovo in my list. Kosovo is a disputed territory in southeastern Europe whose independence is supported by 96 UN members, with Serbia being the most vocal opposition. For this reason Kosovo is not a recognised FIFA member and wasn't on the original challenge list. A blog reader from Albania recently popped over into Kosovo for work and offered to send me the beer, I thought, it can't hurt everyone loves the European Beer Challenge! Birra Prizreni is one of the newest breweries in Kosovo and I'm looking forward to tasting it. The pour is very light in colour, in fact it's one of the clearest looking beers I've ever seen! The head is huge and vibrant white in colour. Birra Prizreni has plenty of carbonation rising through the beer to the head and this helps with the retention, which it has to be said is nothing short of sensational. For me the colour is a little light for a lager, but otherwise it's a good looking beer. After looking at this beer there is no way I would have thought it would have tasted this good! It's a stunning full flavoured macro lager. 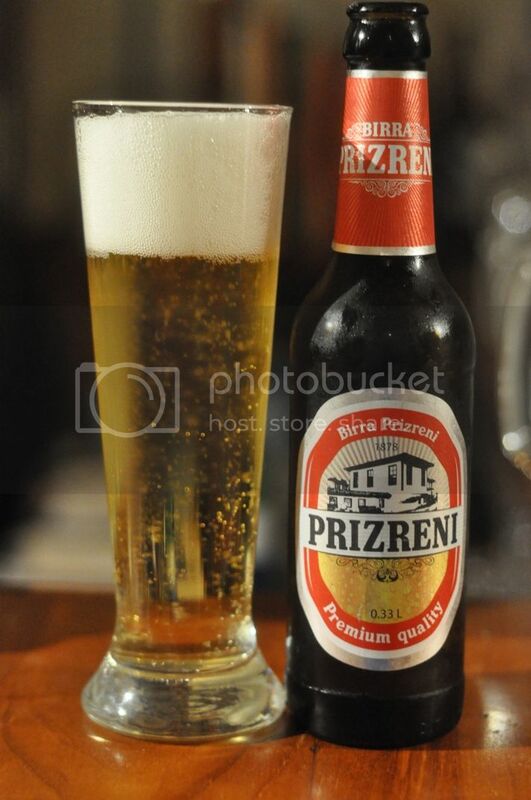 As the nose indicated Birra Prizreni has a pretty low malt body and the hops are the driving force behind the flavour. There are both grassy and citrus flavoured hops with and they provide a crisp and refreshing flavour. It's a really refreshing beer which leaves you wanting more! Considering this is one of the newest breweries in Kosovo I am really impressed with the product. Birra Peja is by far the most popular beer in Kosovo currently but from all reports Prizreni is closing the gap, with it's clean fresh taste being very popular with the locals. I'd be more than happy to drink it again, as macro lagers go this is a pretty good one. 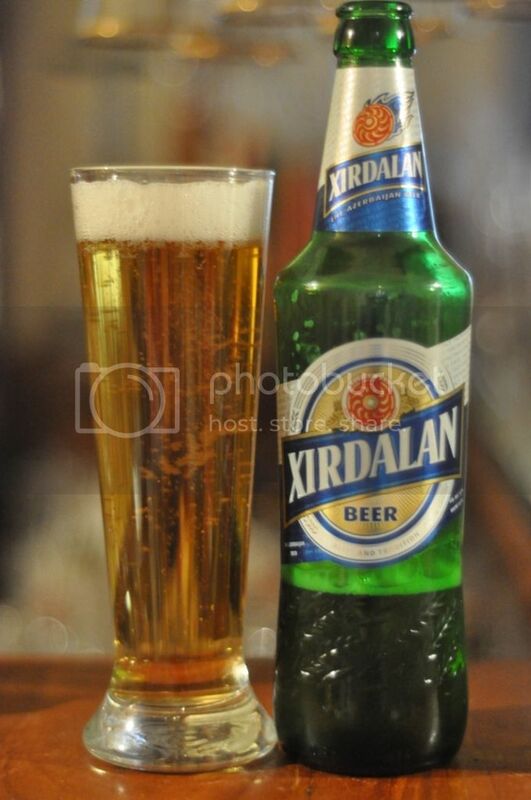 If you're ever in Kosovo you could do worse than to drink this beer.